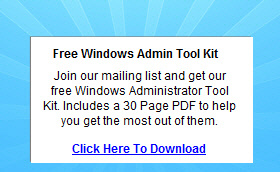 Hi Dave, Please understand this Forum deal mainly with issues related to the Windows Vista Operating System. Regarding Windows XP issues, I suggest submitting them to Windows XP Newsgroup. The support professionals there are better qualified to assist you. For you convenient, I've listed the website of Windows Server XP Newsgroup: http://www.microsoft.com/technet/community/newsgroups/dgbrowser/en-us/default.mspx?dg=microsoft.public.windowsxp.general In addition, I found a solution for your issue after performing research. Here are the steps: 1. On the Windows XP computer, click Start, right-click My Network Places and click Properties to open the Network Connections folder. 2. Right-click the direct connection icon, and then click Properties. 3. On the General tab, Click Install. 4. Click Protocol, and then click Add. 5. Click the NWLink IPX/SPX/NetBIOS compatible Transport protocol, and then click OK. 6. Restart the computer. Hope it helps. Hi Dave, I am glad that the issue has been resolved. 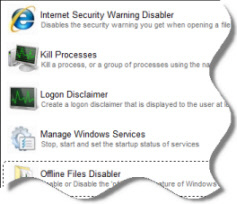 The following are some related articles for your reference: File and Printer Sharing in Windows Vista http://technet.microsoft.com/en-us/library/bb727037.aspx#EEAA Description of the Network Setup Wizard in Windows XP http://support.microsoft.com/kb/308522 Hope it helps. Reboot Hundreds of computers, disable flash drives, deploy power managements settings.